A good product needs even better promotion! 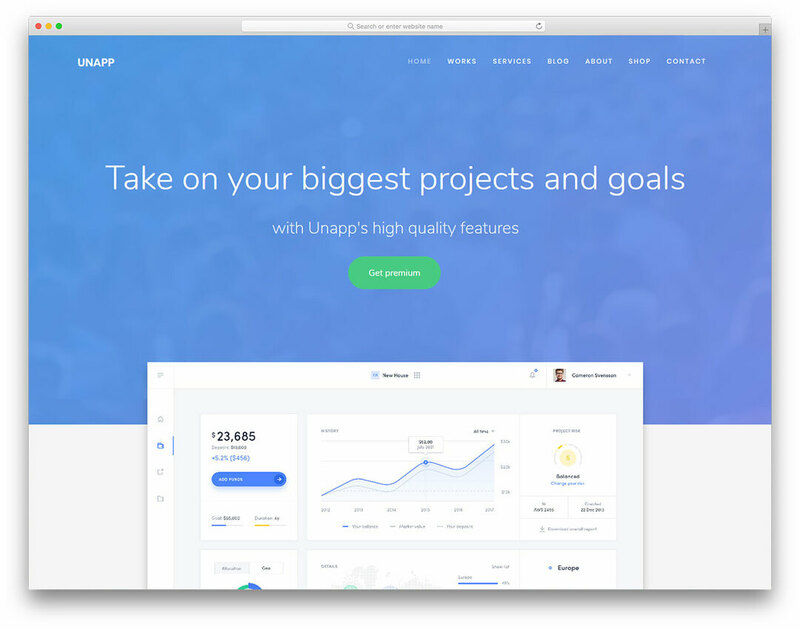 Make sure you stay at the top of the IT trends with the help of Unapp. This template is going to give you all the tools to start a successful website for your software development project or another kind of product. Designed by experts, for smart users. This template is incredibly flexible and easy to use. Turn it your own in no time. Despite being meant for apps, this template can be incredibly flexible with the help of a little bit of creativity. Content marketing, blog posts, shot and social media integration. With this template, you can get enough tools to conquer the online space with your project!